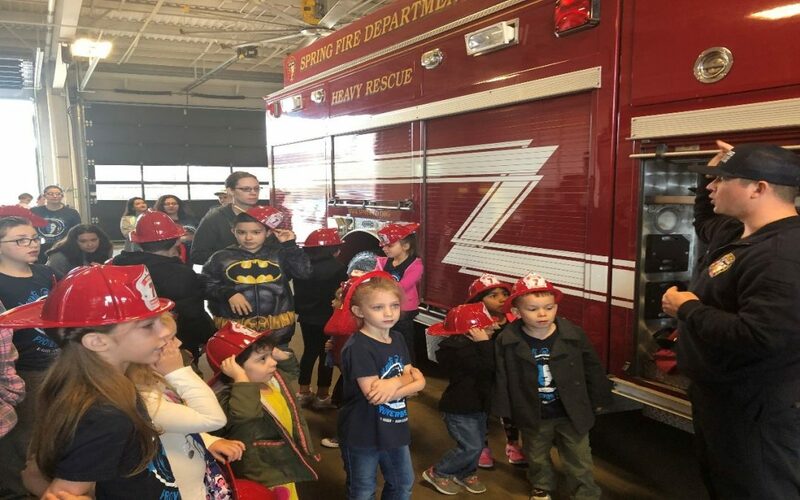 Spring Fire Station 71 welcomed the Hearts at Home homeschooling program from the North Central Church with big smiles on Friday. 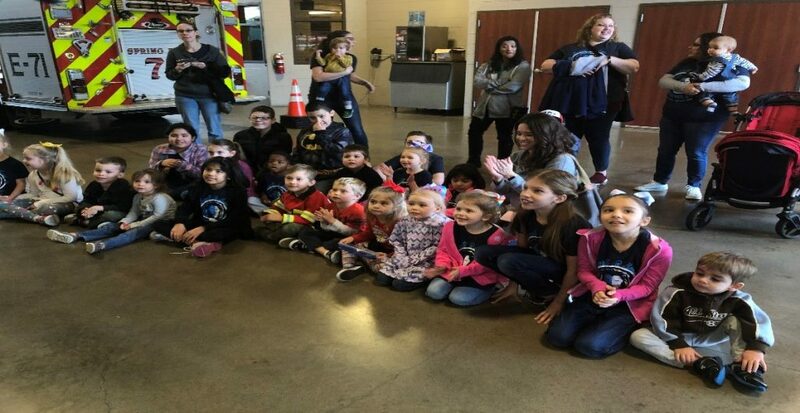 Firefighters Jason Wal, Jeremey Cobb, Kevin Wise, Tyler Crane, Michael Villarreal, Logan Hall and Captain Hamilton Ledkins spoke to the kids about fire safety. They emphasized the importance of smoke detectors, exit drills and fire extinguishers. When asked what to do in case of a fire, the fire crew advised the kids to leave the house safely and to stay away no matter what. Towards the end of the day, the kids toured Station 71’s kitchen, dorm rooms, offices and fire trucks. How cool! 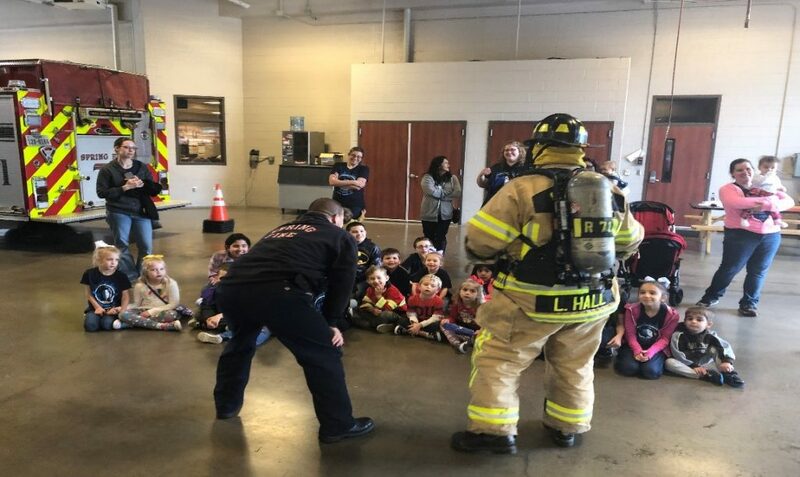 Hall demonstrated the seriousness of getting fully dressed in bunker gear before heading to a fire by allowing the kids to count while he demonstrated all the gear firefighters have to wear. The goal is get dressed and out of the fire station in 90 seconds. Hall was geared up in 67 seconds. 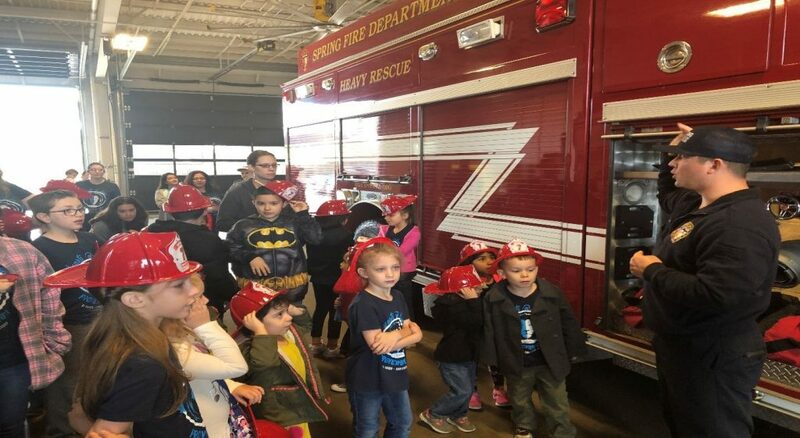 “They needed to learn it and it is wonderful,” said Ashley Thomas, a mother who commented on the importance of teaching children fire safety. The kids left with a new understanding on what it means to be a firefighter. They thanked the fire crew with hugs and yummy tacos.